One of the the perennial questions for the aspiring artist is how to make a living. The way I think about art is as a creative exploration - into the artworks of history and the human story thus far, as well as into one's particular experience of being, in this particular time and place. And, it is not simply a matter of executing the ideas that occur to you - but of exploring those ideas in visual terms through drawing, painting or sculpture. Turning these fundamentally speculative processes into a physical artwork, as well as presenting it and sharing it with an audience, is a complex and time consuming process. In the meantime, how do you eat? For a lucky few, artistic output matches the market and it is possible to live solely on one's art output, but for most of us, it is necessary to subsidise our core explorations with other work. 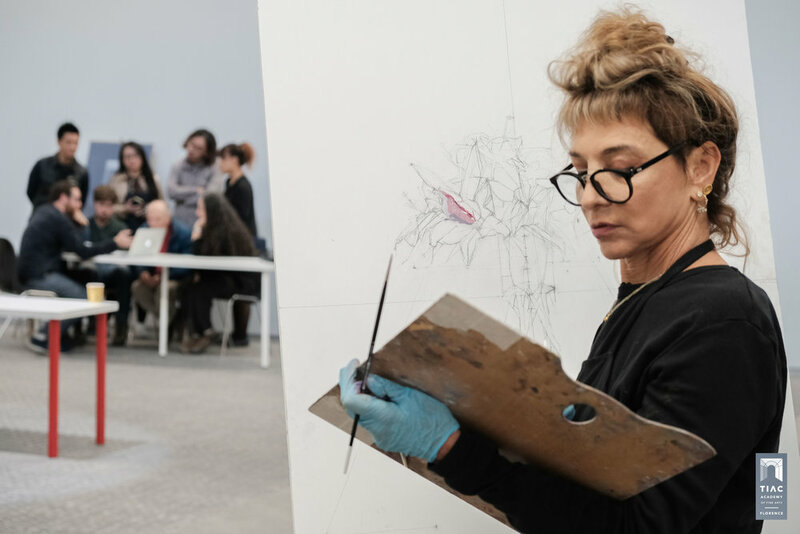 This article will look at some of the ways TIAC Academy will help you to navigate the practicalities of living with your art habit successfully. The first and most important thing TIAC Academy offers is a program rich in both the technicalities of visual representation as well as the intricate craft of picture making. The ability to make coherent solutions within a multidimensional range of possibilities, to manage the acquisition of new skillsets, communicate with others and work hard to execute - while also having the resilience and courage to investigate speculative paths that might not lead to useful solutions - these truly are skills for the 21st century. One of the benefits of developing competence in representational fine art is that the skills listed above are directly applicable to a range of creative industry applications. pricing your work in a sustainable way that allows you to sell and gradually increase your prices with time and being well received, while taking into consideration the fact that selling work also makes it no longer available for competitions and group shows. These points are all important and can take a lot of time and energy without having a guide to help you. With the right basic knowledge, these elements can be worked through with fewer mistakes - ones that teachers on our team have made before you so you don't have to. is highly valued in workplaces. Artists in particular are often guilty of not having well developed ability to speak to an audience comfortably, particularly about their work - though this is something that can be highly beneficial for sales, valued by galleries and actually enjoyable - given some experience.